Appraisal of Classification Schemes and Their Effectiveness in Organizing Law Collections in Nigerian Law Faculties. HomeLibraryAppraisal of Classification Schemes and Their Effectiveness in Organizing Law Collections in Nigerian Law Faculties. A law library is an organized collection\information sources to meet the needs of the legal profession and legal information needs of the legal public. Examples of law library are libraries found in court houses, Ministries of Justice, law firms or chambers, faculties of law, etc. A law library is crucial to legal practice and administration of justice because law is a specialized and very technical discipline. Hence, a law library is to legal practitioners, and judicial officers what instruments are to technologist, and apparatus to scientists. In order to accomplish these roles, the library performs the traditional functions of collection development, organization, retrieval and dissemination of legal and related information sources. Two issues are crucial to the efficiency of law libraries. These issues are collection development, and organization of the collection. Collection development involves selection and acquisition of information sources which translate into collections of a library. Collections of law libraries are the bedrocks of all the services they can offer and determinant of the extent to which such services can be provided. These collections can be categorized into three, primary sources, secondary sources, and finding tools or tertiary sources. Primary sources are the information sources containing law, they are books of law rather than books on law. Examples are Constitutions, Laws, Acts, Decrees, Edicts, Gazettes, Law reports i.e courts and appellate court decisions, regulations and ruling of administrative agencies. Secondary sources are information sources about law which are not themselves sources of legal authority. They vary widely in quality, form and authority. Although they lack legal authority in a formal sense, some may have a persuasive influence in the process of law-making by virtue of the recognized prestige of their authors or quality of their scholarship. Examples are journals, textbooks, treatises, commentaries, restatements and other periodicals. Finding tools or tertiary sources of legal information are means of locating the primary sources of legal information. They provide access to large body of law, great number of decisions and statutes issued over time. This facilitates effective operations of the doctrine of precedents because judge and legal practitioners can have access to decided cases relevant to a particular case or problem. Examples are digests of decisions, citators, encyclopedia, phase books, annotated statutory compilations, loose leaf services, and indexes. Most of legal resources on the Internet are designed for judges, lawyers, law students and researchers. He mentioned other legal sites useful to non-lawyers such as Court TV, Nolo press, and Findlaw that offer gateways to helpful resources on legal information. Organization of collections available in a law library facilitate easy access and retrieval of the information sources. There must be prior organization of the acquired information sources in order to provide access to them when they are needed by the users. Among the means of having access to collections of a law library are registers, bibliographies, and catalogues. These tools provide detail bibliographic information on each of the items in the library, and how they can be retrieved. The processes involved in organizing the resources of a law library is called cataloguing and classification. The systematic arrangement of library collections on the shelves. All documents on a subject and are related ones are brought together from the general to the specific. Classification is crucial to the determination of placement of an information source in a library and where it is placed on the shelf. The extent to which a library collection are catalogued and classified is a factor of easy retrieval and access to the collections. Thus, the focus of this discourse is on examining Classification Schemes and their effectiveness in organizing law collections in Nigerian Law Faculties. Specifically, Common Classification Schemes, Dewey Decimal Classification (DDC), Library of Congress (LC) and Moy’s Classification Scheme for law books will be examined. Purposeful arrangement and retrieval of information sources. Proper replacement of consulted information sources on the shelves. Display of information sources on different disciplines at a glance. To classify an information source, the classifier first establishes the main subject of the publication. This is checked with the subject heading in use by the Library. The classifier then checks the index of the classification scheme for the appropriate classification number. The number obtained from the index is confirmed from the schedule. Classification schemes are the main tool in classifying information sources. They are publications containing systematically listed terms or notations representing discipline and sub-disciplines. They aim at assisting Librarians to organize Library resources, and the users in locating desired information sources easily and quickly. A typical classification scheme is in three parts, schedule, notation, and index. The schedule contain the list of all the main classes and sub-classes of the scheme; the notation is a sign or symbol in a definite order representing disciplines, and subjects listed in the schedule; and the Index is an alphabetical list of subject terms in the schedule with their corresponding notation. Index provides quick access to the schedule. Each of these schemes except Bernard Classification Scheme, have provisions for law collections and related disciplines. 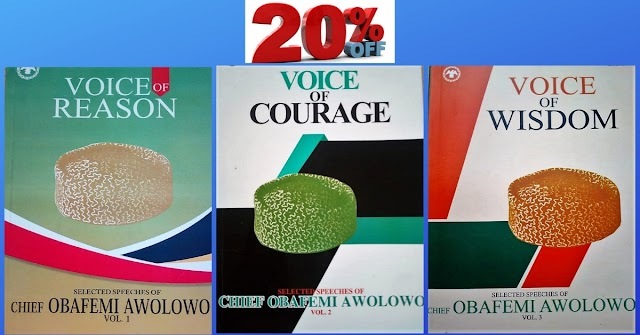 However, this discourse wilt focus on three schemes that are readily available in Nigeria. These are Dewey Decimal Classification (DDC), Library of Congress (LC) and Moy’s Classification Scheme (MC). Special attention will be placed on their treatment of law collections. The use of pure Arabic numerals in notation; it has pure notation. The use of decimal to specify subject terms that is specific. Arabic numerals and decimal allow indefinite expansion of the classes. The scheme is compact. It is available in four volumes. - Availability of mnemonic devices that facilitate easy recall of classification number. DDC employs three minimum digits to the left of the decimal. Availability of relative index to the diverse materials in the schedule. LC was developed out of the desire to fashion out a scheme that will be peculiar and adequately suit the collection of the library of congress in the United States of America. It is a scheme rooted in literary warrant i.e. the existing collections of the Library of Congress. The scheme divided the entire spectrum of knowledge into 26 classes and a class for general works. The classes in the scheme are published in separate schedules. These classes are designated with symbols or notation by letters of Alphabets A-Z, (without letters I, O, W, X, Y,) and Arabic numerals; this is referred to as mixed notation. Each class schedule has a synopsis that provides guidance to classifiers. The scheme start from general knowledge to the specific, and theoretical aspect to practical aspects of subjects. From the above outlines, LC uses letter to denote the main class mark for Law, double capital letters for sub-classes, Arabic numerals for further — divisions, and cutter numbers for specificity. The outline of the schedule for LAW is provided below. K - Law in General, comparative and uniform law. Jurisprudence. Second Schedule: Sub class K.
A cursory look at the coverage of law by LC reveals detailness and indept coverage. The main class ‘K’, published in a separate schedule treats all subjects in Law (Advocacy, Banking, Equity, Conflicts etc). The subclass K treats the Laws of various continents, regions, and countries of the world. As such, LC treatment of law can be considered adequate. The classes are expansive, the use of cutter number, and form Division Tables guarantee specificity for information sources being classified. Furthermore, wide acceptability of the scheme provide benefits of resources sharing, cooperative classification, and Union catalogue. Moys classification scheme for law books was devised based in part on existing Classification Schemes, LC and DDC to express the unique characters of law collections and their categories. The scheme was written by Elizabeth Moys as a thesis to substitute the missing class K for law materials in the Library of Congress Classification, and to improve on the provisions for Law Collections by Dewey Decimal Classification. Moys incorporates both enumerative number building concepts of LC and faceted theory of DDC. The scheme adopted a different way of organizing legal materials due to the difficulty associated with mixing primary and secondary law collections. The scheme organized law collections into primary law, secondary law, law reference and law journals. LC and DDC keep jurisdiction of various countries strictly separated, usually arranged by continent. Moys treat the countries whose legal systems are based almost entirely on the common law (England, Ireland, Canada, Australia, New Zealand, United States etc.) as part of one legal system and all other jurisdictions as separate legal systems. Within each legal system, materials and divided into primary sources arranged by form: Legislation, Law reports, etc; and secondary sources arranged by subject. The scheme like DDC and LC make use of tables to ensure specificity in the classification of information sources. Specific instructions (notes) on how each table should be used are provided. In addition to these tables, the scheme has appendices on Criminology, Nigerian States, their historical periods, and cutter numbers from the index of Jurisdictions. Moys scheme has two complete alternative system of notation: Library of Congress-style (K) and 340, decimal-style system. This style of notation provides opportunity for law libraries to choose either of the notations, and still enjoy the benefits of the scheme. The three schemes discussed in this discourse made provision for law collections. DDC provision is planned, articulated and futuristic, unlike LC that was based on the existing collections of a Library. LC scheme is published in separate schedules by subject and despite several reviews, some parts are not yet complete. For example Class K for Law (Aina 2003). The class was first published in the year 1960. Moys scheme was developed to provide for the shortcoming arising from the treatment of law collections by DDC and LC. Law Collections comprise legal information sources that are dynamic, frequently published, and in serial forms, because law is regarded as a growing discipline. A classification that recognize the peculiarity of the nature of the law collection is Moys. While other schemes treat legal publications from subject perspectives, Moys organizes law collections by their nature and jurisdiction that is primary sources, secondary sources, and Law Reference and Law Journals. This approach facilitates easy access to Law and legal publications of a country needed by the users. In Nigeria’s case, the scheme provides an appendix on legal information sources emanating from Nigerian States, from independence to date. Presentation of Classification Schemes determines their respective ease of use. DDC is presented in four volumes with separate index; LC is published in separate schedules, about 47 schedules. (Each schedule has its relative index). Moys is available in a one-volume publication, its introductory matters, schedule, Tables, index of Jurisdictions, Index-Thesaurus are published in one volume. This presentation make the scheme easy to use in classifying legal information sources. The scheme is more compact than DDC and LC. This provision provides opportunity for law libraries to choose from the two notation methods. In the case of academic law libraries, it permits integration with other classification scheme used in organizing other resources of the institution. Specialized classification scheme facilitates consortium building among special libraries. As such, libraries that intends entering into a consortium will only do so with libraries using the same classification scheme. This will ensure that once a publication has been classified by any member of the consortium, there will be no need by any of the cooperating libraries to repeat the classification whenever it acquires such (Nwalo 2006). Moys Scheme has been adopted as Classification Scheme for law Worldwide. Many academic law libraries in Nigeria are using the scheme to organize their resources. Availability and affordability of Classification Scheme is a factor in determining the choice of a Classification Scheme. Affordability has to do with the ability of a law library to acquire the Scheme, and availability has to do with the ease of acquiring it. Out of the three schemes, DDC is the most affordable and available in Nigeria. A set of DDC is available in Nigerian market for a sum of NI 20,000.00 only, and the scheme is widely used. LC is available in some bookshops on order from the Library of Congress in the USA. The cost is very prohibitive and beyond the reach of many libraries in Nigeria. A set costs about $30,000.00 (U.S. Dollars) to acquire. Moys is relatively more available in Nigerian book markets, and in use by many academic law libraries. A Library that can not afford one can make photocopies from the Nigerian Institute of Advanced Legal Studies (NIALS), Lagos, or can go into cooperation with the NIALS Library. From the issues raised above, we can conclude that the three schemes are relatively suitable and convenient for law collections but, Moys is more suitable than the other two due to some inherent qualities it has over them. Shelf arrangement of information sources in helpful manner. This saves users time in the search for right resources in law library collection. Subject analysis of legal information sources and their mechanized arrangement by the use of notation. Optimum use of collection of a law library by bringing users into contact with specific resources or pieces of information required. Collation of information sources on related subjects. This permits indept searching of information sources on discipline. Aina L.O. (2003) Library and Information Science Text for Africa Ibadan: Sam Adex. FLICK, E (1997) “Web Watch” Library Journal Vol 22 (No. 10) pp. 31-32. Library of Congress Classification Class K (1998 edition, prepaid by the Cataloguing Policy and Support Office, Library Services. Washington D.C.: Library of Congress, Cataloguing Distribution Service. Moys, Elizabeth M. (1982) Moys Classification Scheme for Law Books. London: Butterworth’s. Nwalo K.I.N. (2006) The Role of Classification Scheme in consortium Building. A paper presented at the 26th Seminar/Workshop of the Nigerian Library Association, Cataloguing, Classification and Indexing Section, Abeokuta 31st October-3rd November, 16p.